Home 2018 Calendar Events Featured Event Indonesia INDONESIA’s BIGGEST EXPORT FURNITURE & CRAFT EXHIBITION. INDONESIA’s BIGGEST EXPORT FURNITURE & CRAFT EXHIBITION. The outstanding success of previous event confirms the growing strength and popularity of Indonesian furniture in the global market and has set the stage for an even larger show in March 2018. Now IFEX is considered as one of the must-attend furniture & craft shows in Asia as it is a part of Asia Furniture Show life circle on March each year! Jakarta International Expo (often abbreviated as JIExpo) is a home of hundreds of international expo in Jakarta. It is known as one of the best destinations for the MICE industry stakeholders in Indonesia. Covering a total land area of approximately 44 hectares, Jakarta International Expo is known as one of the best destinations for the MICE industry stakeholders in Indonesia. Located strategically in the center of Jakarta with easy and fast access both to airport as well as to the harbor, JIExpo currently offers a total of 100.000 square meters rentable exhibition & convention area. In response to the increasing demand, JIExpo is building a new convention centre and theatre, This 30.000 square meters building features a number of ballrooms, meeting rooms, and huge three-tier auditorium proscenium arch theatre. The groundbreaking ceremony took place on March, 14th 2016. This convention centre and theatre will start to operate by Mid 2018. During non-peak hours, traveling to the Jakarta Fair from the airport by taxi takes around 1 hours. For your convenience during your travel in Jakarta, we highly recommend you using Blue Bird Group as Indonesia’s largest taxi operator, its color basically BLUE COLOR covering the car. The fare from airport to KEMAYORAN is about IDR 150,000 - IDR 250,000 using meters (based on traffic). You can find the blue bird stand in every Arrival Hall Terminal 1, Terminal 2 and Terminal 3. Established since 1994, Dyandra Promosindo is a leading professional exhibition organizer, established since 1994. Over the years, Dyandra Promosindo has generated an impressive track record of events nationwide. 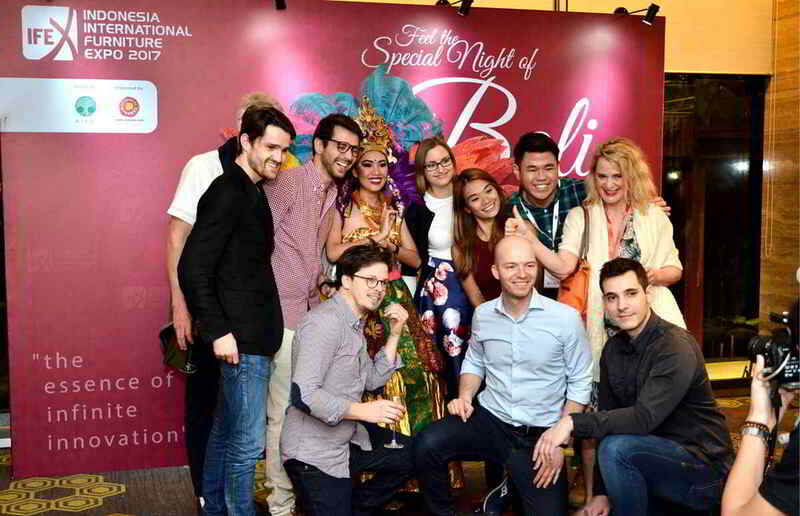 Over the past years, Dyandra Promosindo has organized more than 800 exhibitions in Jakarta, Surabaya, Yogyakarta, Bali, Makassar, Medan and other major cities in Indonesia.